We sat and stared balefully at the walnut buffet. A rich customer had complained it was "making strange noises in the night." It was around midnight and we strained our ears to hear, hardly daring to breathe. And there it wasâ€”a kind of crunch, crunch, crunching sound. 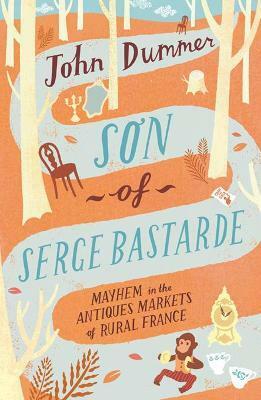 Johnâ€™s life as a traveling brocanteur (antiques dealer) in rural France is decidedly less colorful after his unscrupulous yet affable partner in crime, Serge Bastarde, marries and decamps to Martinique. But, like a bad penny, Serge returns, his personal life in tatters. What follows is a madcap adventure in which John is coerced into striking deals with the Romanian "mafia," reroofing a huge Basque house, and getting trapped in a skip in the dead of night, while Serge rides an emotional roller coaster. Serge may be as faux as some of his antiques but, with John's help, he eventually strikes gold in this laugh-out-loud romp.